Just before 7am, a water main in the centre of Mytholmroyd burst, with water rising 20-30 feet. Police announced the closure of the road and water supplies were cut off from hundreds of homes and businesses, including many in central Hebden Bridge. The fire service arrived to pump away the water from the road. Calder High, Riverside and Central Street schools had to be closed because of the cut in water supplies. 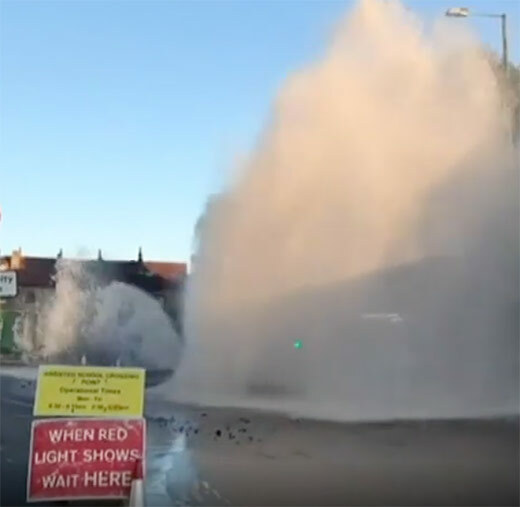 This burst occurred right in the middle of where work was being carried out as part of the Flood Alleviation Scheme for the town. Yorkshire Water, contractors Morrisons and Calderdale Council are working together to resolve the situation. The A646 Burnley Road at Caldene Avenue, Mythlomroyd will remain closed this evening and tomorrow." Yorkshire water have arranged a bottled water pick up stations at the Hebden Bridge Co-op and Grange Dean Medical Centre. Some homes and businesses have had their water supplies restored from around lunchtime. Unfortunately, due to the severity of the damage to the road and utility cables, we expect this closure to last a few days. We have requested round the clock working which has been agreed to ensure the work is completed as quickly as possible. Diversion routes are in place via Littleborough, but motorists are recommended to avoid the area if at all possible and to plan alternate routes to get to all the villages and towns in the Upper Valley of Calderdale. People are also advised to travel outside of the rush hour if they're able. 590 592 from Halifax to Todmorden – will divert between Mytholmroyd and Todmorden via Cragg Vale, Lydgate, Littleborough and Walsden. 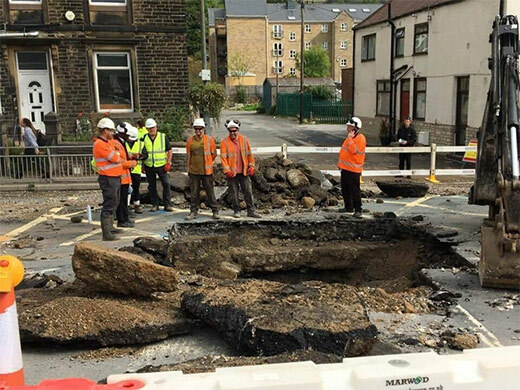 Yorkshire Water statement: "The repair on the valve is complete, and we're just fixing some damage to other utilities in the hole before we start the process of reinstating the road. This will take some time as we need to fill the void created by the water and make sure the road is stable and safe. To get this work done as soon as possible, we'll be working 24/7 until its fixed. We'll then have to let the tarmac dry before we can reopen the road." Yorkshire Water have said, "We’re happy to announce that the road closure on Burnley Road in Mytholmroyd will be lifted from lunchtime today. Thanks to the great efforts of our contractors, Morrison Utility Services, and our colleagues on site, the work has been expediated and completed sooner than we expected." "The fresh tarmac is currently drying and once our site manager and Calderdale Council’s highways team are happy that the road is safe and dry, we’ll remove the road closure signs and let the traffic through." 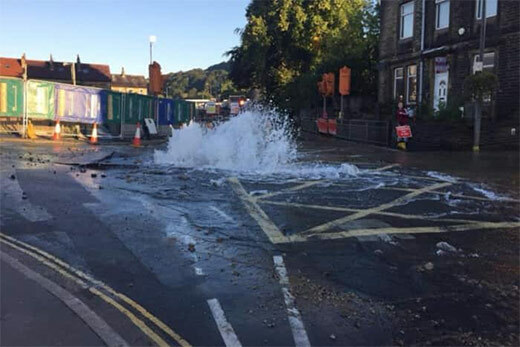 Metro have tweeted, "Burnley Road in Mytholmroyd has now re-opened again following the closure caused by a burst water main. All services have resumed to running their full routes again. Thank you for your patience during the closure period."